Dr. Vosburg graduated from Colorado State University School of Veterinary Medicine in 1993. Prior to that, she received a degree in biology from Montana State University. When she moved here in 1993, Dr. Vosburg began working with bald eagles at the Alaska Raptor Center in addition to caring for dogs and cats in Sitka. She opened Pet's Choice in 2010 while continuing to care for injured wild birds at The Alaska Raptor Center. Her time away from work is spent volunteering for Sitka Mountain Rescue as a part of the Incident Management Team, hiking with her dogs, practicing yoga, birding, and spending time with her husband, Burgess who is also a veterinarian. His clinic is in the same building as Pet's Choice but remains a separate practice. Britley was raised in Sitka. She graduated from Mt. Edgecumbe High School in 2010. After studying for a year in New Zealand, she transferred to North Dakota State University where she earned her veterinary technology degree. 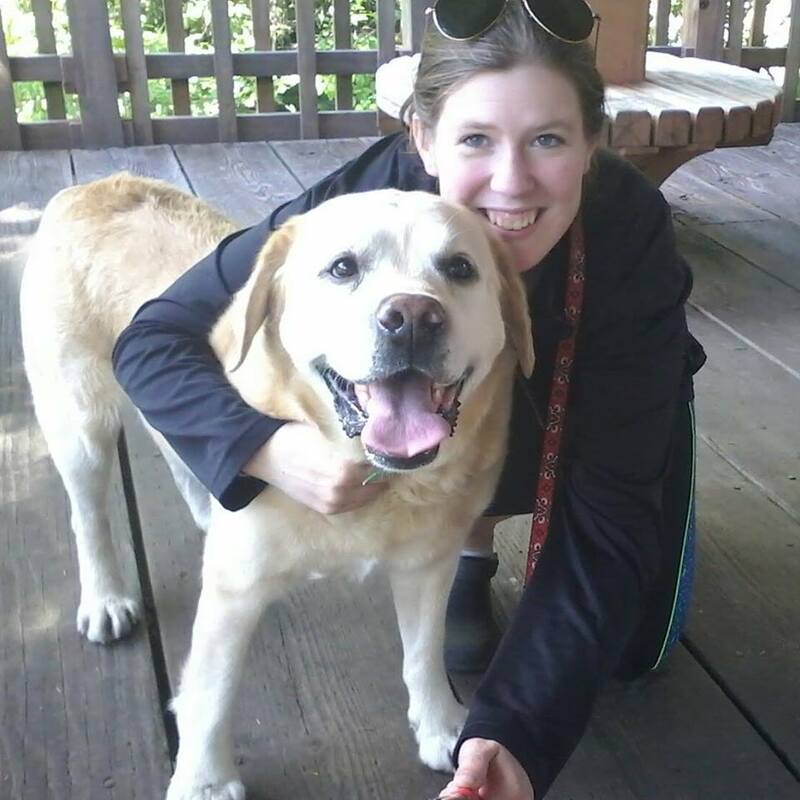 She loves the outdoors and spending time with her English lab, Yuki. Britley is a busy girl. In addition to working full time at Pet's Choice, she spends early summer mornings helping with breakfast at Kingfisher Lodge. Stephanie's father is a retired Alaska State Trooper so she has lived all over the state. She graduated from Mt. Edgecumbe High School in 2014. Her goal is to become a certified veterinary technician. She is currently enrolled in an online program so she can work at Pet's Choice while studying and is also Fear Free Certified. She loves her black cat, Brego. He was adopted from the Sitka animal shelter. Donovan recently moved here from Reno Nevada, although he spent many summers in Sitka while growing up. 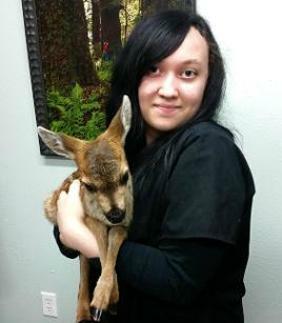 As with other staff members, he is studying to become a certified veterinary technician. He has a Doberman Pinscher, Saber that he rescued from his local shelter in Reno in addition to a cockapoo, Popcorn that was born here in Sitka! 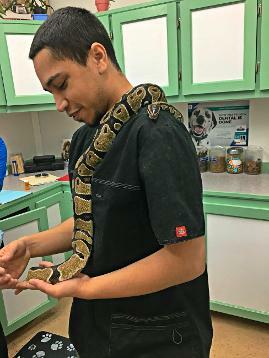 Donovan loves animals and has spent time volunteering at the Alaska Raptor Center. These cats came to us as strays from Kake and Klawock both located in Southeast Alaska. 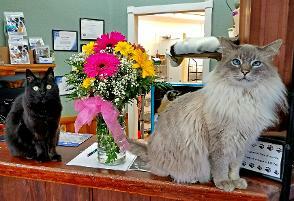 Mr. Biz (right) loves to greet clients and help them with their paperwork. Elsie (left) enjoys watching the reception area from our display shelves, if you are chewing minty gum while you visit she will most likely come running to try and steal your yummy treat, but please don't give her any.